Amazon community on the Rio Corrientes. Photo by: Patrick le Flufy. “Shh, wait here,” Wilson told me. I ducked down behind the buttress of a large tree to wait. We had been walking through the jungle for a few hours. At first we followed a path through the undergrowth, a wet world of ferns, trunks and lianas speckled with the sunlight that made it down through the canopy and understory, but soon we simply walked along a route Wilson picked out. I had been trying to concentrate on the myriad sounds: cicadas were the background and various small birds tweeted from different points. We were listening and looking for signs that would lead us to prey—perhaps the calm whistle of a perdiz or the scent—marking of a boar—but just before Wilson became excited I had heard nothing. He stopped and said, “Red monkeys,” pointing ahead. I saw a reddish shape that might have been an animal in the treetops ahead, so nodded vaguely. A few paces on he turned to me, “Only two, but some woolly monkeys as well—2 groups.” Then I heard the telltale swishing of branches as the monkeys leapt through the branches. Now we were close and Wilson had gone ahead without the lumbering gringo. A few moments later there was a loud bang and a thud on the ground. We would have full bellies tonight. Wilson is not just an expert hunter. Two weeks earlier, he’d been helicoptered out to Nueva Vida, a village upriver on the Rio Corrientes, to record and assess a 1 kilometer long oil spill using GPS and video. Wilson is an assessor of the environmental monitors for FECONACO, the Federation of Native Communities of Rio Corrientes. In the FECONACO office in Iquitos, where Wilson works a third of the time, he uses the Internet daily to ensure the leaders of FECONACO, Pluspetrol and the government are up to date on the environmental state of Rio Corrientes and to report any new spills, which happen with terrible regularity. While he insists he is not yet used to the city (he has worked in Iquitos for just two months) and much prefers the tranquility of jungle life—where you do not have to pay for everything—he clearly knows a lot more about the urban world than I know about life in the jungle. Curuinsi doing a public performance/recitation of some Murui stories. Photo by: Patrick le Flufy. The history of the Rio Corrientes is extraordinary, but sadly far from unique. Petrol companies first entered the area in the 1970s, when the local Achuar, Urarina and Kichwa tribes had very little contact with the outside world. On striking oil, the industry put in large installations to exploit it, but built them in a slovenly manner that had no regard for the local environment and would have resulted in them being swiftly shut down had it been Europe. 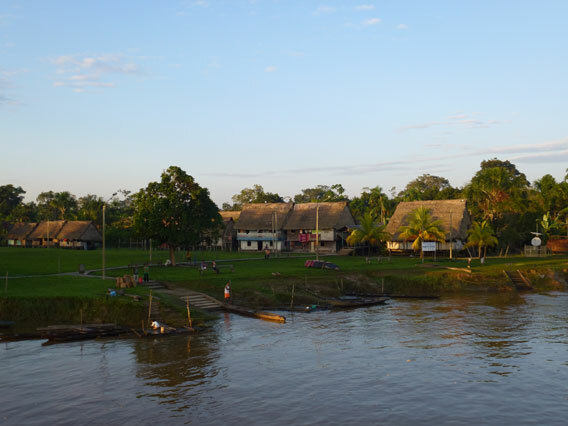 Pucacuro village suffered two large spills, in 1978 and 1980, in their fishing lake, Cocha Atiliano, resulting in a slow poisoning by lead and cadmium as they ate contaminated fish. Even today, years after the spills were “cleared” by adding absolvent chemicals to send the petrol to the bottom of the lake, those locals, who have no choice but to eat fish from Atiliano, complain that it causes headaches, diarrhea, vomiting and skin rashes. The Pucacuro doctor, a qualified medic from Iquitos, told me that among comuneros aged under about 25 there is also a very high incidence of mental retardation and cretinism. But the amazing part of the Corrientes story is not the damage that has been done, or the fact that the locals have been victims of corporate irresponsibility, but that the people of the Rio Corrientes, who didn’t even know what oil was 30 years ago, have fought back, learnt about what is happening, and finally forcing the oil companies to clean up their act. In the 1990s and early 21st century, they complained to the government and Pluspetrol, which now works in the area, about the contamination of their territory. They were told it would be sorted out, but this led to the absolvent being used to hide the problem rather than solve it. There was no real change—Pluspetrol even continued to purposely pour waste waters into the local environment—until 2006, when all 36 communities of the Rio Corrientes got together, blockaded the entrance to the river and shut down the oil installation. This bold move, which entailed not only enormous organization but also great ingenuity, costing Pluspetrol huge amounts of revenue, resulted in the Act of Dorissa and signaled the start of a gradual shift in attitudes. Today FECONACO, the indigenous organization made up almost entirely of Corrientes natives, employs a network of highly—trained environmental monitors, regularly goes to court over oil spills, and recently had a meeting with both ministers and congressmen in Lima, the result of which is in March a multi—sectoral commission will examine the extent of pollution in the river basin and consider bolstering environmental laws. The story of indigenous communities quickly learning how to defend themselves against the enormous power of multinational companies exploiting their territories is by no means unusual: the Nahua, who live near Sepahua, Peru and first made contact in 1984, have gained rights over their territory, helped protect nearby voluntarily isolated tribes and also use GPS to monitor and report on disturbances; the Matses, another recently contacted tribe, have gained a reserve for themselves and another reserve for animal conservation, part of which even they do not enter to hunt, and at community meetings they carefully calculate how many animals to kill each time they go hunting in order to sustainably conserve their resources; and perhaps most impressive of all is Curuinsi, a group of indigenous students in Iquitos itself who are saving their traditional cultures from complete extinction. The story of Curuinsi is a story of vision, courage and passion. In 2002, Ruben was finishing year 10 at school in Estrecho, a small Huitoto town on the border of Colombia and Peru. The son of a poor fisherman and farmer, he was one of seven children, and in order to afford clothing they had to fish by night having gone to school during the day. One day Ruben had a dream: he was going to finish school in Iquitos. But Ruben was certain: he would complete year 11 in Iquitos. He left home with only his determination. In Iquitos, he managed to find a place in a school, and his family sent him all the money they earned selling fish in the market so he could survive. His brothers did not like this: why should they fish all night and not even be able to buy shoes? But their parents stayed firm and the family supported their son in the city. After finishing school, Ruben got a place at University, where he spent 3 years studying Business & Tourism and is now studying Law. During this time he became interested in his own culture. He had previously not even spoken Huitoto and knew little about his own culture, but seeing other indigenous students, such as Achuar and Aguaruna, who spoke their languages perfectly, and realizing that his own culture would die out entirely if his generation did not learn its wisdom before the last elders died, his ambitions gradually changed from becoming a rich businessman to saving his own culture. He sought out the last Huitoto sabios, or wise men, and in a six hour discussion in a mambiadero, a traditional learning circle, he persuaded sabio Ama Hernandez Remuy to return to the knowledge he himself had turned his back on for 15 years and come to Iquitos to teach the new generation his sabiduria, cultural wisdom. The Huitoto culture not only includes centuries of accumulated jungle knowledge, from medicines to building techniques as well as ways of farming and hunting to conserve and maximize useful resources, Huitoto sabiduria also involves a unique and original way of viewing and relating to the world: an entirely different path to personal and communal fulfillment. But for the sabios of old this knowledge is sacred and only the truly committed can learn it, and only in a traditional mambiadero. So Curuinsi, a group of poor but committed students, under the instruction of Ama Remuy, built a full—sized traditional maloca, a community building, in which they could begin their learning. Although they are rescuing their culture, they do not see it as a static and sacrosanct tradition, but are absorbing the knowledge and adapting it to the modern reality. Ferny, one of Ruben’s brothers, is studying western medicine at university and traditional medicine in the maloca with a vision of reconciling and combining the two into a single integrated medical lore; they no longer believe the knowledge should be kept to a privileged few, but welcome anyone who is interested to learn in the mambiadero, including women and foreigners, and they are writing down some of the sabiduria and putting it on their website, www.curuinsi.org. In addition, the maloca is for all indigenous people—although there are currently only Bora and Huitoto sabios, the intention is for sabios of all tribes to teach in the maloca, and Ama Remuy dreams of the coming of a student who will learn the knowledge of all the sabios and become a grand sabio. The maloca was only built a year ago, so it is in its early days yet, but it is already infused with a heavy sense of responsibility and a glorious scent of possibility. Talking to Ruben and his brothers, who combine a fiery yet dignified passion with intelligence, realism and complete commitment, you cannot help but be convinced that every one of their dreams will come true. Curuinsi and FECONACO are just two in a long list of the ways that indigenous peoples in Peru have fought to reclaim their heritage against the vast forces of Western—style development. Yet the dominant view among Peruvian city-dwellers is that indigenous people are “pigs” and backwards people who should be looked down upon in what amounts to no less than racism. But one brutal fact of the early 21st century, which is often denied but is unfortunately unquestionable, is that sooner rather than later the dominant modern paradigm, that of Western development, will have to change. Even forgetting climate change, at a global level we are having to feed more people on less fertile soils, plastic is increasingly choking our oceans, biodiversity is declining rapidly and the natural resources on which we depend are becoming scarce. The goal of the majority seems to be to emulate the Western lifestyle, but for everyone in the world to live like the West, we would need the resources of 3-5 Planet Earths. We only have one. Within Peru, deforestation continues apace and avoidable oil spills have not abated. Not only that, but Peru is missing out on the huge wealth of the oil with a lax tax system of which very little reaches the local communities’. This is a crucial period for change, as new concessions have been recently granted across the majority of the Peruvian Amazon. As I made my way up the Rio Corrientes, seeing the different communities on the banks and chatting to the comuneros who live in them, it was immediately and abundantly clear that each community is developing in its own distinct way, as it interprets the modern world and decides what to take and what to leave. This river basin alone is no less than a multitude of social experiments undertaken by the local communities themselves; and this is one of hundreds of such basins throughout the Peruvian Amazon. If the Peruvian people and government would only ensure that the petrol companies, loggers, missionaries and the tourism industry treat these indigenous communities with the respect for human rights that everyone deserves, and adjust the tax system in order to allow them to share in the economic gains being made by exploiting their land, then as well as having a chance to find their own path to a secure and happy future, they might just help us find ours. 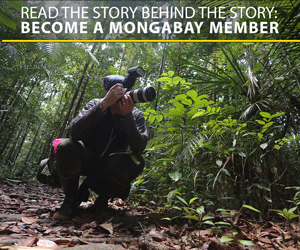 Read more about Patrick le Flufy’s experiences in Peru: Words of Wander. (03/12/2012) Africa Wildlife Foundation (AWF), the conservation nonprofit based in Washington, DC, is facing a lawsuit by Kenya’s Samburu tribe over alleged unlawful evictions. The hearing, originally scheduled for January 23, has now been postponed to later this month. The dispute is over an area of land in Laikipia District in Kenya, one of Africa’s most wildlife rich areas. Until recently, it was also the homeland of some 2,000 semi nomadic members of the Samburu tribe. At least according to the Samburu. (03/07/2012) The UN’s International Labor Organization (ILO) has released a report stating that the Brazilian government violated the rights of indigenous people by moving forward on the massive Belo Monte dam without consulting indigenous communities. The report follows a request last year by the The Inter-American Commission on Human Rights for the Brazilian government to suspend the dam, which is currently being constructed on the Xingu River in the Amazon. (02/15/2012) Last October indigenous groups, local people, and domestic NGOs formed the Save Sarawak’s Rivers Network to fight the planned construction of a dozen dams in the Malaysian state on the island of Borneo. The coalition opposes the dam-building plans, known as the Sarawak Corridor of Renewable Energy (SCORE) initiative, due to its impacts on indigenous and river communities, the destruction of pristine rainforest, and the degradation of the state’s rivers. (02/07/2012) On February 4th, the Peruvian government and a small indigenous group created a new Amazon reserve, dubbed the Maijuna Reserve. Located in northeastern Peru, the 390,000 hectare (970,000 acres) reserve is larger than California’s Yosemite National Park and over three times the size of Hong Kong. (02/07/2012) In a bid to gain legal recognition of their land, the indigenous Wapichan people have digitally mapped their customary rainforest land in Guyana over the past ten years. Covering 1.4 million hectares, about the size of Connecticut, the rainforest would be split between sustainable-use regions, sacred areas, and wildlife conservation according to a plan by the Wapichan tribe that will be released today. The plan says the tribe would preserve the forest from extractive industries. 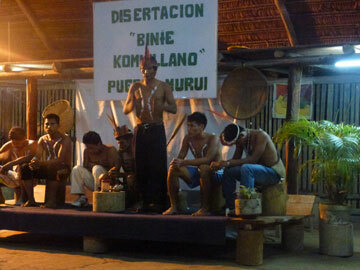 (02/02/2012) How do indigenous communities hunt without pushing target species to local extinction? In other words, how have communities retained sustainable practices over countless generations. One answer is given in a new study by the Center for International Forestry Research (CIFOR) and the Center for International Research in Agronomy and Development (CIRAD): supernatural beliefs. Looking at a community of indigenous people on the Indonesian island of Seram, researchers found that supernatural hunting beliefs ensured animals never vanished for good.